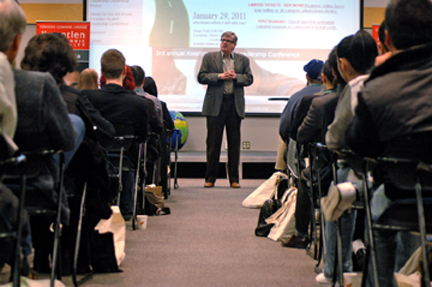 For $20 a piece, Kwantlen students paid to come in to university on Jan. 29 for a day full of speeches and workshops. 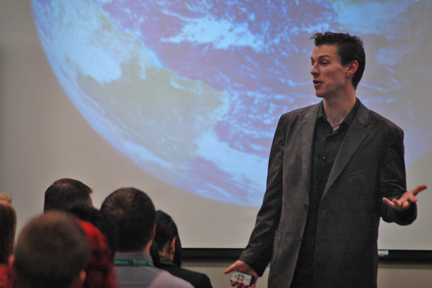 While some students may not think that attending the third annual Student Leadership Conference would be the ideal way to spend a Saturday, according to the opening keynote speaker Joel Hilchey, the eight hours worth of sessions and speakers provided students with valuable skills and opportunities. “I think it’s a chance to connect with other students who are like-minded, and who are willing to think a little bit bigger about the world,” he said. The university’s president Dr. David Atkinson spoke briefly to students before Hilchey gave his opening speech titled “Take The Risk!” Atkinson was a keynote speaker at the first two conferences. Hilchey is a co-founder of The Beanstalk Project, an organization that empowers students to take on leadership roles within their schools and communities. 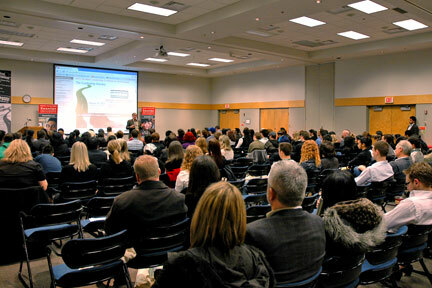 He is also a member of the Canadian Associated of Professional Speakers. As a student, he didn’t attend many conferences, but recognized the importance of being involved. 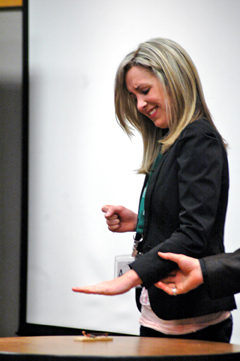 As part of his presentation, Hilchey tested a willing (but nervous) student’s capability to overcome her fears. Andrea Danyluk bit the bullet and placed her hand on a fully-functioning mouse trap. The speaker said that conquering fear is the first hurdle students need to overcome. “They become aware of their own strengths and their own goals.” The conference gave students the chance to step outside of their comfort zones. 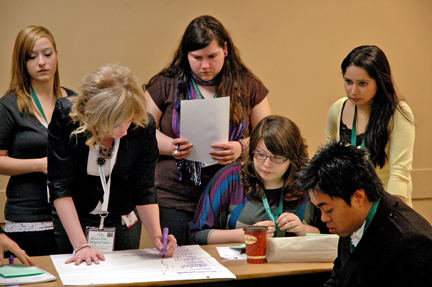 Students could choose between a wide variety of workshops, ranging from public speaking sessions to networking. Hilchey said not only are the classes beneficial, but in choosing which ones to attend, students begin to recognize in which areas they need improvement. “There’s value in the process of choosing what you want to do at that session,” he said. All I have to say is – this conference was the best I’ve ever gone to, and I will continue to go year after year, even if I am no longer a student. This conference has taught alot about leadership, something everyone can use in their lives. I suggest that ALL students attend this.